Issued in 1925. Mint Never Hinged. Perfect for Framing. TIMOR, 1898. Timor, 1898. Mint, F-VF. TIMOR, 1914. Paid Reply Letter Card H&G 23, Mint. Timor, 1914. Paid Reply Letter Card H&G 25, 3 avos 3 avos reddish gray on yellowish. Mint, F-VF. TIMOR, 1914. Letter Card H&G 20, Mint. Timor, 1914. Letter Card H&G 20, 6 avos violet on yellowish. Light hinge mark. Scuffed at bottom. Mint, F-VF. They were issued in 1925, and are identifiable as Scott Nos. RA1 through RA3. This should calculate automatically at checkout, and the only way to avoid it is to send us a copy of your current Maine Resale Certificate. Timor, 1892. Scarce card. Mint, F-VF. TIMOR, 1892. TIMOR, 1923. Timor, 1923. Light hinge marks. Mint, F-VF. TIMOR, 1905. 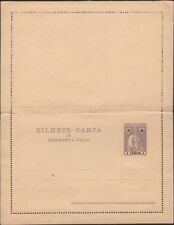 Paid Reply Letter Card H&G 5, Mint. Timor, 1905. Paid Reply Letter Card H&G 5, 3 avos 3 avos green on yellowish. Light hinge mark. Mint, F-VF. TIMOR, 1914. 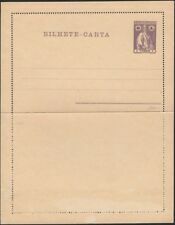 Paid Reply Letter Card H&G 22, Mint. Timor, 1914. 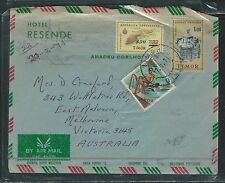 Paid Reply Letter Card H&G 22, 3 avos 3 avos reddish gray on yellowish. Mint, F-VF. TIMOR, 1923. Timor, 1923. Light scuff at bottom. Mint, F-VF. TIMOR, 1912. Timor, 1912. Mint, F-VF. TIMOR, 1923. Timor, 1923. Second card variety with missing "bar" in A. Hinge marks. Mint, F-VF. TIMOR, 1962. Air Letter Sheets H&G F3-5, Mint (3). 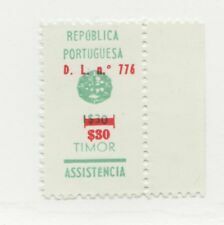 Timor, 1962. Air Letter Sheets H&G FG 3-5, 1.5, 3.00, 4.50. (3) Mint, F-VF. TIMOR, 1912. Paid Reply Letter Card H&G 12, Mint. Timor, 1912. Paid Reply Letter Card H&G 12, 5 avos 5 avos rose on yellowish. Light hinge mark. Mint, F-VF. TIMOR, 1914. Letter Card H&G 21, Mint. Timor, 1914. Letter Card H&G 21, 10 avos blue white/craem. Mint, F-VF. A re-shelving fee of 15% may apply. (unless agreed otherwise). cancel on back from Glen Waverley. TIMOR, 1903. Letter Card H&G 2, Mint. Timor, 1903. Letter Card H&G 2, 5 avos rose on yellowish. Light hinge marks. Mint, F-VF. TIMOR, 1923. Timor, 1923. Hinge marks. Mint, F-VF. TIMOR, 1905. Letter Card H&G 4, Mint. Timor, 1905. Letter Card H&G 4, 10 avos blue on bluish. Mint, F-VF. TIMOR, 1914. Letter Card H&G 19, Mint. Timor, 1914. Letter Card H&G 19, 3 avos reddish gray on yellowish. Light hinge mark. Selvage was lightly adhered. Mint, F-VF. TIMOR, 1912. Letter Card H&G 10, Mint. Timor, 1912. Letter Card H&G 10, 10 avos blue on bluish. Light hinge mark. Mint, F-VF. 2019 Scott Catalogue Pages. Malay Archipelego, Eastern part of Timor Island. 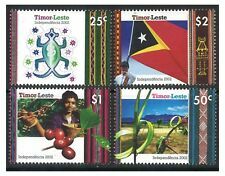 All Timor Pages. Mint and the Used Values listed for each stamp. Pages Carefully removed from. Pages 77-82. Southeast Asia Pages. Timor Scott #280-287, Mint Never Hinged. Scott #260-269 Mint Lightly Hinged.